Mounted Patrol - Heroes on horseback - It's the Fair! This year’s Fair theme is superheroes. We all know about Superman and Spider-Man and their buddies. But did you know the Clark County Fair has its own real-life do-gooders keeping us safe and protected and helping us find our way in the darkness? And they do all that on horses. Awesome, right? Unintentionally hidden in some red barns to the east of the Dr. Jack Giesy Horse Arena can be found the Clark County Fair Mounted Patrol. 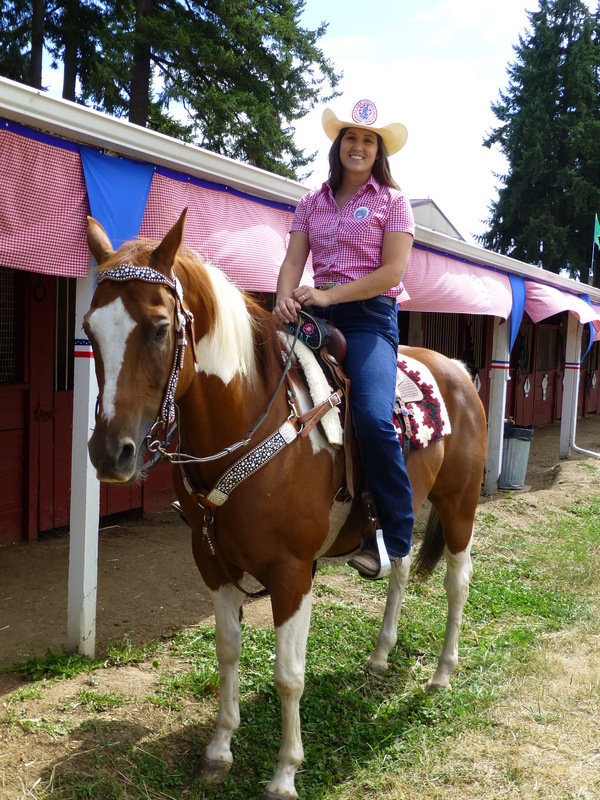 They have been monitoring the Fair’s parking lots on horseback for 40 years. They started out just riding along the perimeter fence lines to make sure no sneakypetes jumped over trying to get in for free. In those days, the horse folks were called Fence Riders. Over the years, these Good Samaritans on horseback have expanded their scope. These days, the volunteers ride the parking lots to help find lost cars, keep an eye out for suspicious activity, greet the public, and close car doors that Fair guests accidentally leave open in their understandable excitement to rush to the entrance gates. I spoke to Larissa who has been volunteering with the Patrol for several years, after serving as a 2011 Clark County Fair Court Princess. 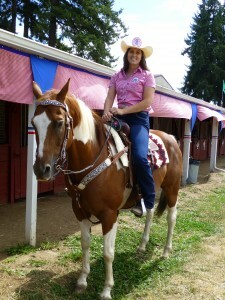 She said she comes out to the Fair each of the 10 days and joins the riders on their evening patrols from 5:30pm-9:30pm. Riders have to be at least 21 years old and most of the 50 club members are in their 40s and 50s. Larissa would love to see younger riders join the club to bring new energy, new ideas, and even more outreach to the public. You can spot the Mounted Patrol by their red and white checked shirts. You can also go visit their barns at any time during the Fair. They have some interesting displays, really friendly horses, and off-duty patrollers eager to answer your questions. Head to the east side of the horse arena and look to the right. Big red horse barns. To match the shirts. 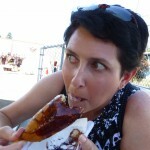 I am a Clark County Fair Fanatic and eat all things fried during the glorious 10 days of The Fair. I have lived in Clark County since 2004 and consider it the second-best decision of my life. I am married to a great guy named Rob (first-best decision) who graciously carries my stuff and takes my picture every time I eat something at The Fair. We have two indoor cats and lots of deer, rabbits, and coyotes who are kind enough to stay outside.